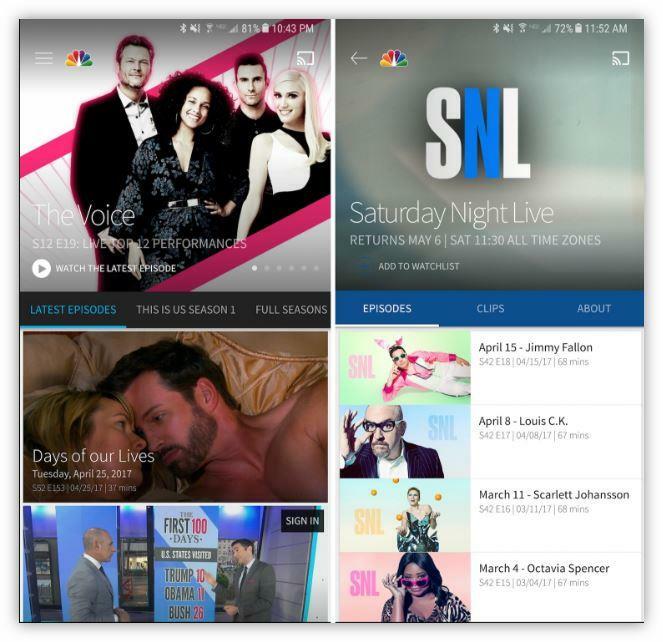 Most TV networks now offers their own Android app for their content but you may not be restricted from watching full length movies or series unless you log in or have a cable subscription. If you are not willing or able to pay, you can still stream movies and TV Shows free online on your android mobile with no sign up required. 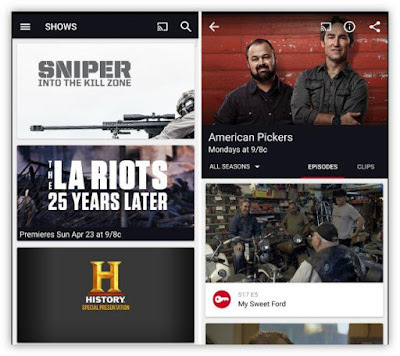 This article reviews 10 top Android apps that you can use to stream all your popular TV shows for free without any need for login or subscription. However, you would need a good internet connection and some extra minutes of your time for in-between ads/commercials breaks. The ABC – Live TV and Full Episodes app is a free offering from the ABC TV network, and it gives free content without asking you to login. Good if you are following Black-ish, Dancing with the Stars or Designated Survivor. The ABC mobile app is loaded with currently aired TV series and you are given free access to five recent episodes of each TV Shows. They also provide full seasons streaming of older shows. In spite of offering interesting free episodes to watch, the most recently aired one is often locked away for people with logins. And older episodes are likewise unavailable. Also, the Live TV feature is unavailable unless you have a login. If you are looking for entertainment for your kids or you love cartoons, Cartoon Network’s Android app offers the best collections of dozens of free episodes. However, most of the individual series are not always complete. Getting free content from a premium cable and satellite network like Cartoon Network is pretty appealing. Hit shows like The Powerpuff Girls, Adventure Time and Transformers: Robots in Disguise, are listed here, along with a couple of other shows. And the app is very streamlined and kid-friendly: you can pick your favorite shows and it provides a list of available episodes when you run it. Although the collections of show is quite wide, most of the shows still have missing free episodes for each one: most of them only offers three free episodes per instance, and given the length of some of these episodes, that might be about a half-hour of total video. Getting a subscription gives you more. CBS is designed as an All-in-One hub for its free and paid All Access subscription service. This can be confusing, but there’s still a lot of free TV to watch here. 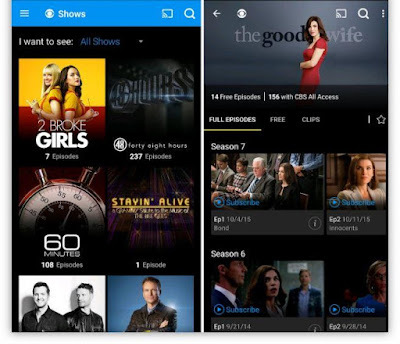 The CBS mobile app offers good content on both old and new shows, be it current hits like NCIS, Elementary, or The Big Bang Theory, or older favorites like The Brady Bunch and all Star Trek series. 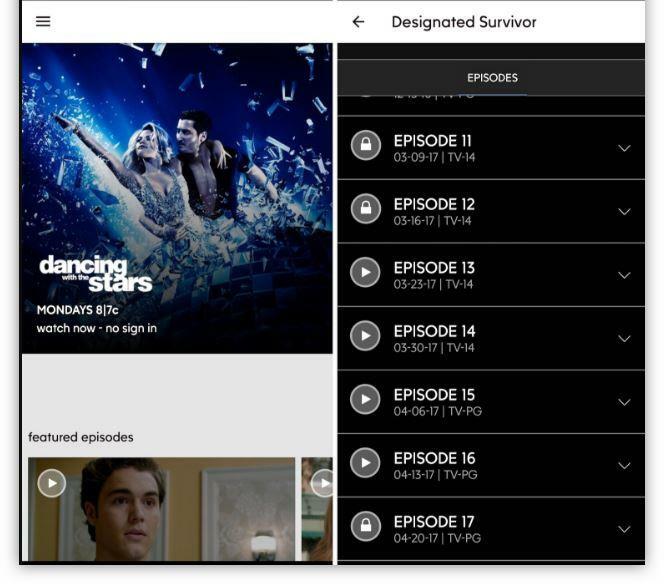 The most interesting feature of this app is that CBS does not lock the most recent episode, the 5 most recent episodes available without a login. Offering both paid and free content is a confusing roadblock, some TV Shows and movies that require a subscription but aren’t always clearly marked. To stream content for free, be ready for a 2-minutes commercial break otherwise, $10/month will take off the ads. 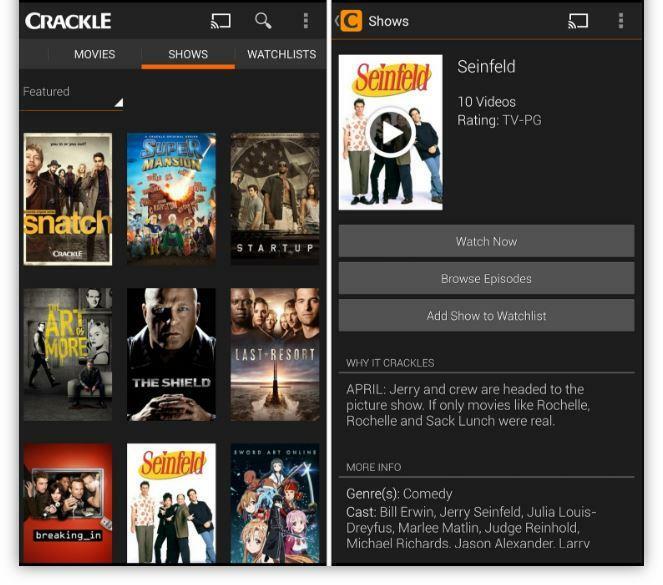 Crackle is one of the few android streaming app that is not based on a single network—but unlike a Netflix, it’s totally free and ad-supported and also features an array of full-length movies. You’ll find some good classic shows like Seinfeld and The Shieldin as well as full-length movies, as well, such as Two Smoking Barrels, Joe Dirt, and Ali. The interface isn’t that attractive and the listing are scattered. Also, seeing random commercial breaks right in the middle of full-length movies is definitely odd. But it is a small price to pay for some of the interesting and entirely free content on the app. For anime fans or anyone interested in Japanese animation, Crunchyroll offers the best content. 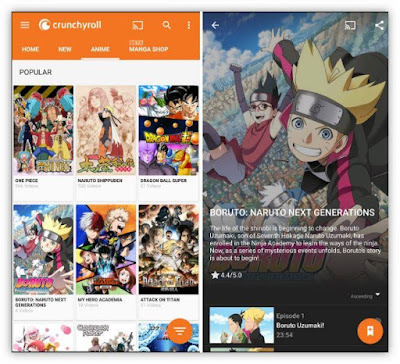 This app compiles hundreds of popular anime series, new and old, and has plenty to offer without a subscription. The library here is absolutely vast and for free. Hit shows like Dragon Ball Super, One Piece and Attack on Titan are offered in Japanese audio with English subtitles, along with many, many other series. You won’t be able to watch any currently aired episode but once it is over, but it would be available immediately for free. A $7/month for unlimited premium access lifts this restriction, alongside that benefit, you also get HD video quality and all of the ads go away. The CW Android app is one of my best app with a straight-forward user friendly interface. You won’t bump into any locked content as the app does not have any exclusive content for cable/satellite subscribers. Every Show that you see on the app is free to watch, and The CW has its full listing of current shows, including iZombie, Supergirl, Jane the Virgin, Arrow, Riverdale, and Crazy Ex-Girlfriend. 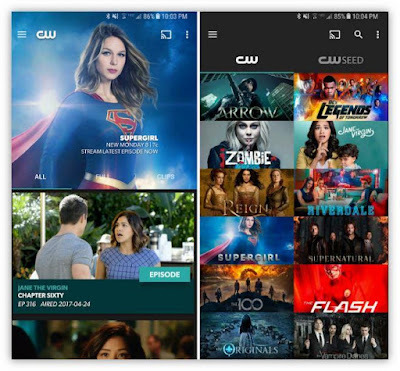 Apart from the main app, CW offers a separate app, called CW Seed, which is also totally free and features even more episodes TV Shows like Everybody Hates Chris. You are shown only the five recent full episodes for each show. There’s also no live TV option, because of the lack of login. 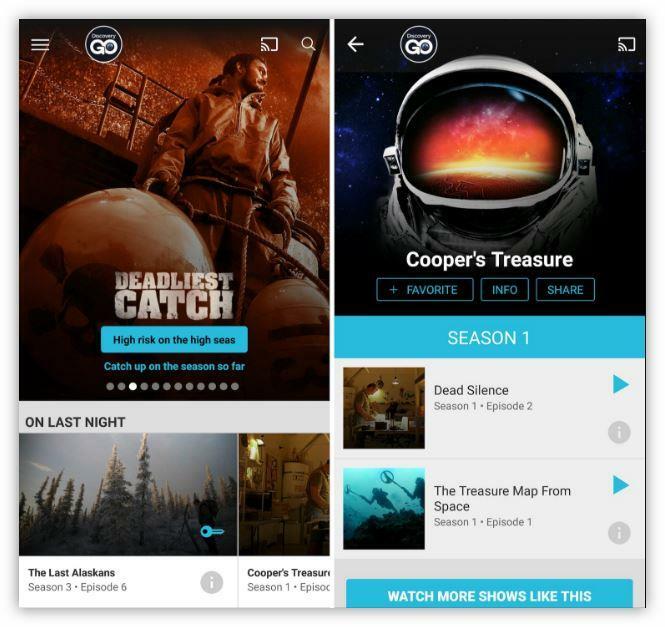 The Discovery Channel app offers a good collection of free content without a cable or satellite subscription. 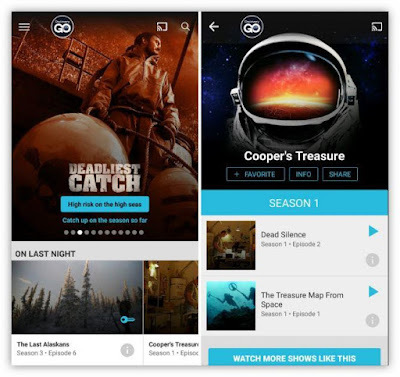 Some of Discovery’s most popular and most intriguing new documentary and reality shows offer free content, including Gold Rush, Cooper’s Treasure, and Deadliest Catch. You may be forced to watch some commercial breaks, of course, but these are still hour-long episodes of pay-TV series for free. Quite disappointingly, there isn’t much available. At the time of writing this article, you’ll find one episode of Gold Rush, one episode of Deadliest Catch and two episodes of Cooper’s Treasure, among others. Also, the commercial breaks are pretty lengthy. Moreover, series like Mythbusters and Yukon Men are not offered for free at all, they require a login to view. However, as far as intriguing documentaries is concern, you won’t find these free shows on other services. 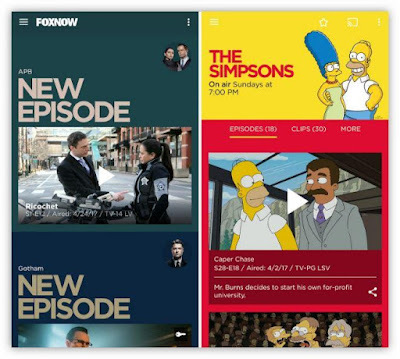 Fox Now Android app is more focused on its most recent broadcast network shows and doesn’t have an extensive library, but it still have an attractive look and a solid collection of free content. And if you have login info, there’s a fair bit more available (still for free). Fox Now offers all of the Fox Network’s top shows currently airing, ranging from dramas like Gotham and Empire to comedies like The Last Man on Earth and Brooklyn Nine-Nine, as well as animated fare including The Simpsons and Family Guy. Shows in their first season offer the last five episodes for free. Although you get 5 free episodes of longer-running shows, the most recent episode is however, locked for 8 days—so you’ll have to wait for those. Also, some shows on the listings still requires login to watch. The History network’s offering is somehow weird; it is more interested in giving you a taste of what it offers in its TV shows than showing the most recent episodes. History’s app provides a good collection of shows like Pawn Stars and Vikings. However, rather than offer the most recent episodes for free, History gives you the first five episodes from the first season unlocked. That’s great for watching new shows for free, but if you are already into the show, this app is not for you. Some popular shows like Vikings do not have full episodes available, while others with newer content requires a cable or satellite login. Logging in can get you access to full-length archives of long-running shows, but otherwise, you’ll usually just get the five first-ever episodes for free. NBC is considered by many as a destination for must-see TV and added to that, the official NBC app offers up quite a number of recent content to check out for free—and even more from a selection of legacy shows. All of NBC’s big shows are listed on the app; from dramas like The Blacklist and Law and Order: Special Victims Unit, comedies such as Superstore and The Good Place, or reality fare like The Voice. Even late night favorites such as Late Night with Seth Meyers and The Tonight Show with Jimmy Fallon are listed. Just like many others, you will find last five episodes available for free for weekly shows. While, older shows like Miami Vice, Smash, and Knight Rider offer dozens of free episodes, depending on series length. For daily shows such as Late Night and Fallon, the most recent episodes are locked down if you don’t have a cable/satellite login—however, they are more slightly older episodes for free viewing. Also, weekly shows that are not in their debut season lock the most recent episode until 8 days after airing. 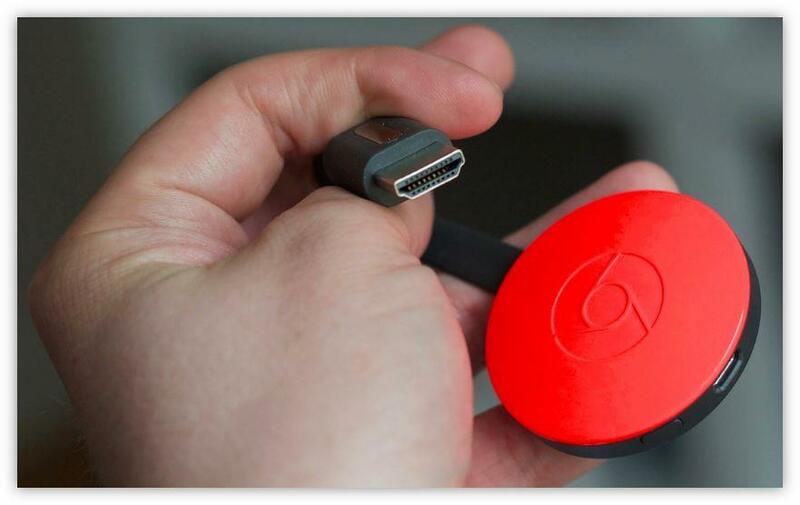 Chromecast support has become so wide that almost all of these apps have casting capabilities built right into them. Only Cartoon Network stands out, which makes some sense given that kids might be handling the phone most of the time, and it’s another button for them to accidentally press. If you have a Chromecast hooked up to your TV, you can press the little rectangle button (in each app) with a little Wi-Fi signal icon in the lower left corner, and that will send the video over to your larger screen. For apps that don’t have native casting support, you can download the free app and mirror your screen to the television.